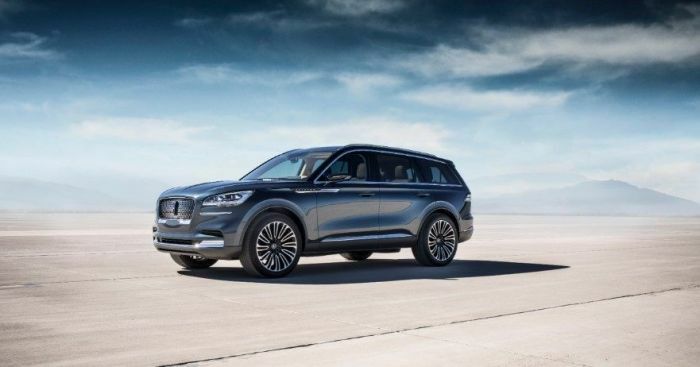 The 2019 Lincoln Aviator claims that it will have Lincoln’s quietest, smoothest drive, yet. It is also offering new technology that it sure to create a buzz. Lincoln is debuting a new technology called “Phone as Key” that will let owners use their smart phone as a key to start and drive the vehicle without a key fob. Owners will also be able to lock and unlock the vehicle as well as open the rear liftgate, all from their smart phone. The “Phone as Key” system will operate through the Lincoln Way phone app. If the phone is lost or stolen, Phone as a Key can be easily deleted, as a security feature. Lincoln is also offering new technology to help drivers manage the dreaded potholes. Aviator will have advanced forward cameras scanning the road ahead, so Lincoln’s Suspension Preview Technology can adjust the suspension for upcoming road conditions, including the bone-rattling craters. Unlike the earlier Lincoln Aviator, that was just a slightly upgraded version of the Ford Explorer, the 2019 Lincoln Aviator truly draws inspiration from aviation. The color of the new Aviator is described as iridescent Flight Blue. The new signature Lincoln grille that appears on the Navigator carries over to the Aviator. The Aviator will be built on a rear-wheel-drive platform, with a longer wheelbase giving the second and third row a little more room. The buyer will be given the choice of having a regular twin-turbocharged engine, or they can also add an optional plug-in hybrid to the turbocharged engine. The 2019 Lincoln Aviator will also be equipped with Lincoln Co-Pilot360, a group of the latest driver-assist technologies. Lincoln did not release pricing for the 2019 Lincoln Aviator, nor is it saying when the SUV will be arriving at dealerships.